It’s the great American dream to take a cross-country road trip on Route 66. And while you’re living that dream, you’ll have to pass through Gallup, New Mexico. It may be a small town, but it’s definitely worth stopping in for a meal, especially if you’re looking for something spicy and meaty. Here are our picks for the 10 best restaurants in Gallup. Unsurprisingly, there are a lot of options for Mexican-inspired food in Gallup. Genaro’s Café is a local favorite, and is very much worth checking out for yourself. It’s a perfect stop if you’re pressed for time, as the expert servers will be able to get you in and out as quickly as possible while happily offering you recommendations. Do be warned that their spicy food is not for the faint of heart, but if you’re in the market for spicy food, you’ll absolutely be in heaven. Lest you forget where you are, Aurelia’s Diner is here to remind you that you are, in fact, on the famed Route 66. This cozy diner is decorated in the style of the 1950s, full of nostalgia for a simpler time. The food is local, classic New Mexican fare, loved by all who visit here. This is the perfect place to find American classics from elsewhere in the country perfectly mixed in with the Mexican dishes. Many of their meals are smothered in their homemade chile sauces, which are not to be missed. 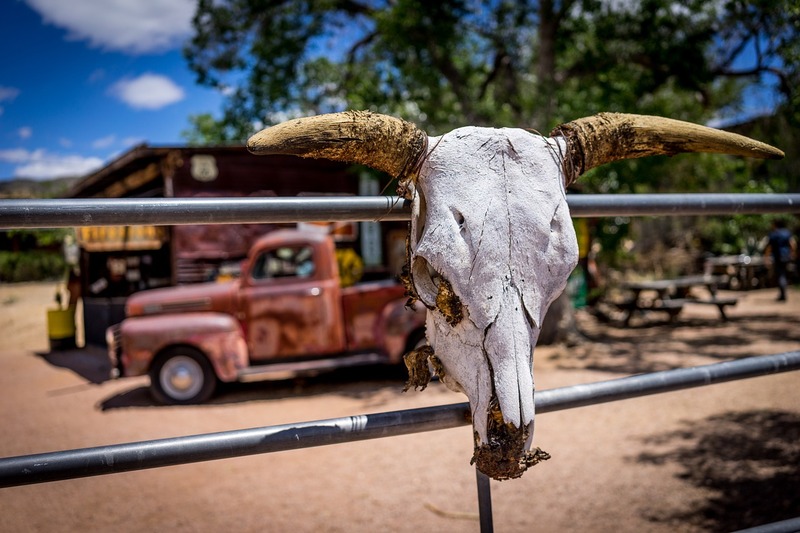 If you’re stopping for the night in Gallup and you want to experience the local fine dining, head straight to Badlands Grill. Family owned and operated since 1969, the whole restaurant exudes experience in the industry and is fully committed to providing you with an evening to remember. Steaks and seafood are their specialty, and if you’re a person who knows their way around a steak, definitely try one of their wet aged steaks. Their fish dishes are cooked and flavored to perfection, and their smoked meats, like BBQ ribs or Guinness beer grats, are also well worthy of a mention. We know that you have a lot of choices if you’re looking for a burger, but we still recommend that you go to Grandpa’s Grill if you happen to be looking for one in Gallup. This is by no means a fancy place, but that just means that they have more time and energy to devote to making your burger as tasty and juicy as possible. They have a condiments bar so that you can finish your burger exactly to your liking, and if you happen to come for breakfast, their breakfast burritos will set you up for the whole day. Locals love Grandpa’s Grill, and once you experience their food and service, you’ll know exactly why. El Metate might call itself a Tamale Factory, and that it is, but tamales aren’t the only thing that you can get here. They also have all manner of other Mexican dishes, like tacos, chiles rellenos, and enchiladas, all made as freshly and authentically as possible. They have a full range of options for your fillings, whether you’re looking for something meaty like pork or beef or you’re sticking to a vegetarian diet. The service aims to please, so you’ll be warmly welcomed in and they’ll be careful to cater to your schedule. Try the combination plate if you want to biggest variety possible. Gallup is full of nostalgia for days gone by, and Jerry’s Café is another manifestation of that. It’s an old school diner with a menu full of delicious Mexican food, all prepared according to recipes that far outdate the 1960s decoration of the restaurant itself. It’s another local favorite, which means that considering its small size, it can get quite busy. When you do get a table, however, be sure to try the sopapillas. When you go to Earl’s Restaurant, a Gallup mainstay since 1947, don’t expect to just have a meal and then head out. You’ll be treated to a full cultural experience along with your meal. For starters, don’t be worried if it looks crowded from the outside, it somehow manages to actually be bigger on the inside. During your visit, you’ll also be treated to a fairly constant stream of polite Native American vendors coming through the aisles and showing off their wares. If you have shopping to do for really any occasion, this is a great place to do it while also supporting the local economy. Westend Donut & Deli is yet more proof of the old axiom that looks can be deceiving. The restaurant’s exterior might not exactly pull you in, but if your hunger does lead you there, you’ll be rewarded with and excellent lunch. They bake everything fresh themselves, whether it’s the bread that creates their flavorful sandwiches, or the pastries and donuts that your diet is begging you to pass over (don’t listen to it – go for the donuts). As soon as you walk inside, your senses will be overwhelmed with the smell of the fresh donuts, and you’ll know you made the right choice. We’ve all heard that breakfast is the most important meal of the day, and they really take that to heart at the Plaza Café. A place that’s quite unassuming from the outside, the Plaza Café puts its all into giving its guests the best start to their day. The French toast is one particularly good option, as are the green chiles, which you can get on the side of several other dishes, like their omelets, which also come highly recommended. The servers are warm and friendly and the food is fresh, and overall it’s just one of those places that you’ll be happy to return to again and again. If you need a break from the usual Southwestern cuisine, The 505 Burgers & Wings should definitely be your next stop. With their extensive menu of burgers, sandwiches, wings, and dogs, you’ll have a tough time deciding exactly which craving you want to fulfill. Just know that whatever you order comes with a heaping mound of french fries. You’ll be unsurprised to hear that the eponymous burgers are their particular specialty, and they have plenty of great toppings for them, including three great choices of buns.